Genetic disorders are diseases which are caused by faulty alleles. 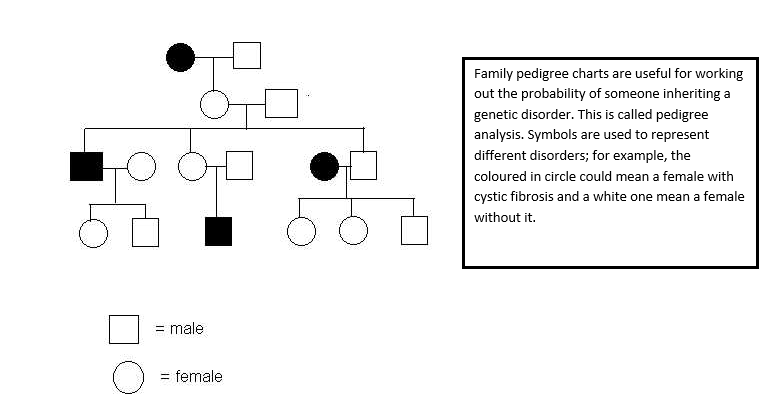 The allele for sickle cell anaemia is recessive so two copies are needed to suffer from the illness. Sickle Cell Anaemia is bad as the red blood cells do not function properly and they stick together and block up blood vessels. Sometimes, this can be fatal. Sickle shaped blood cells also cannot carry oxygen very well as they have a smaller surface area so less haemoglobin. Cystic fibrosis is caused by a recessive allele. A person who has this illness will have their lungs clogged up with thick mucus making breathing difficult and leading to infections. Mucus can also block the tubes carrying enzymes to the small intestine and this can cause weight loss as food is not digested properly.